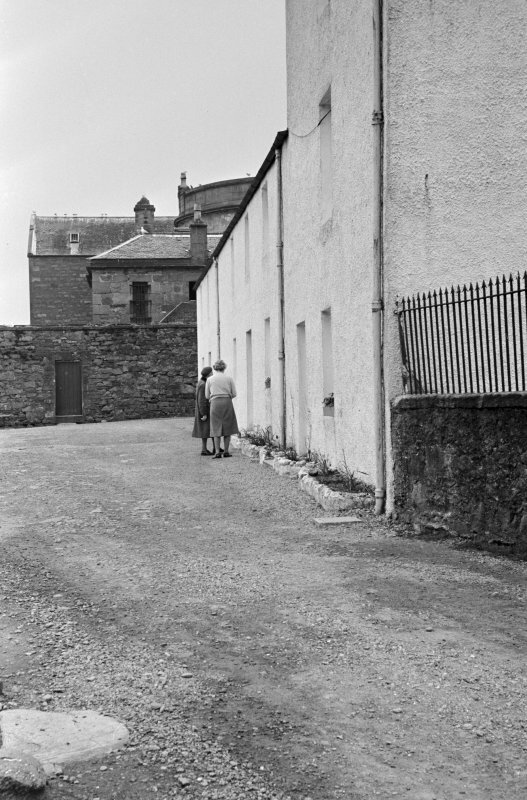 Inveraray, Factory Land. View from South. 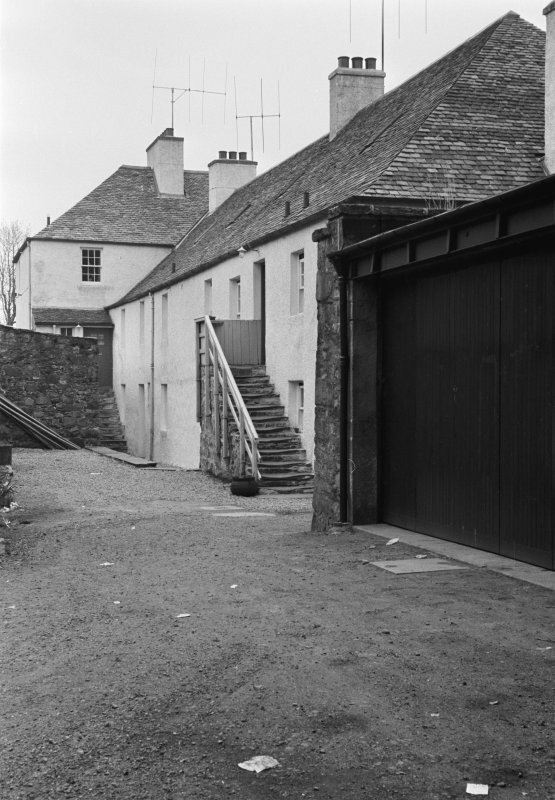 These conjoined buildings stand on a revetted terrace on the shore of Loch Fyne, parallel to the line of North Main Street and separated by a lane on the S from the enclosure of the court-house and jails (No. 205). Factory Land, a two-storeyed range, was built in 1774 by the mason John Marr to contain the Argyll estate's 'Factory for the spinning of Wool' on the upper floor, with 'eight new houses' below the factory. 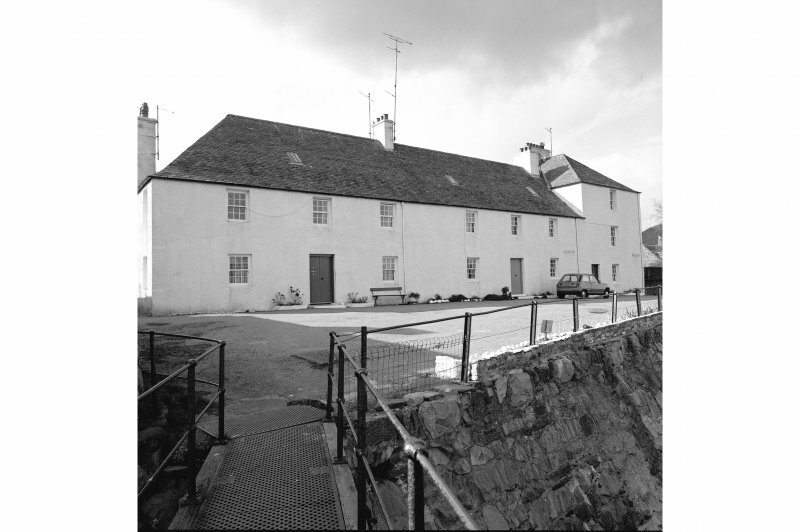 The factory was removed to Claonairigh and the upper floor converted to domestic use in 1777, when a transverse three-storeyed block was built at the N end. 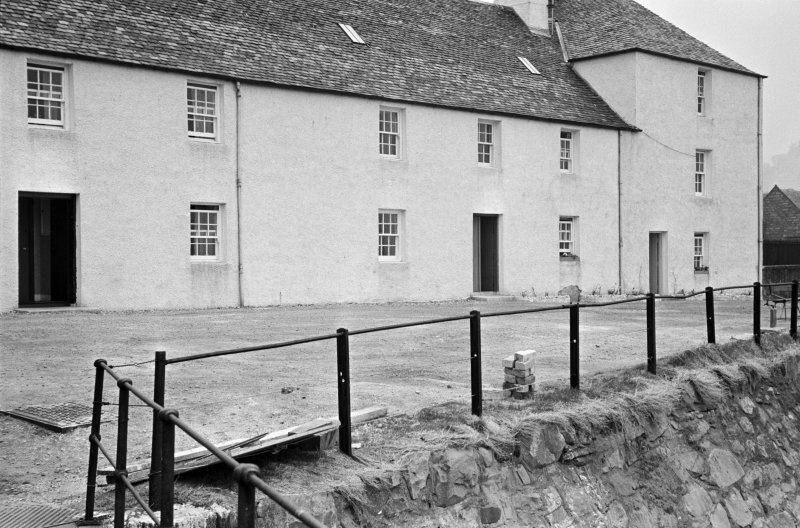 This was subsequently occupied until 1963 by the tenant of the ferry to St Catherines, and known as Ferry Land, while its ground floor was used until the early 20th century as a public house. Both buildings were renovated to the designs of I G Lindsay in1959 (en.1). Factory Land measures 26.5 m from NNE to SSW, and presents a six-bay E front to Loch Fyne (en.2*). This falls into two units, having central doorways and divided by a mid-wall carrying a chimneystack, while there are other stacks at the wall-head of the hipped S end and on the mutual wall with Ferry Land. The two doorways give access to through passages, each, now having a single flat at each side, of which that adjoining Ferry Land is now annexed to the latter. 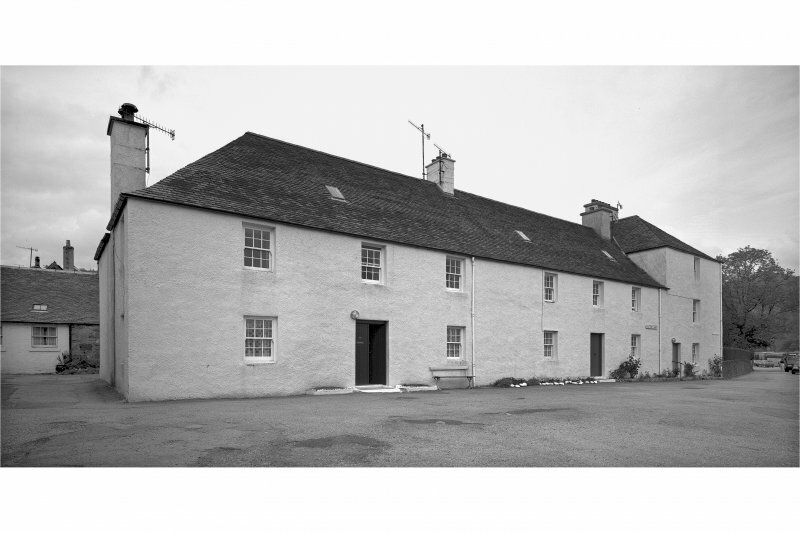 Before Lindsay's alterations each flat contained two rooms of equal size, with individual doorways at the ends of the passages ,and it is probable that they were originally single-room dwellings, presumably the 'eight houses' of 1774. The upper floor was probably at first undivided except for the central chimneystack, but has been much altered. Access to the N half was formerly by a quarter-turn timber stair entered on the N side of the N ground-floor passage, which may have been a late 18th-century alteration. The original access, however, was probably by the substantial stone forestair rising against the S part of the W side-wall, whose landing is placed above the back door of the through-passage. Ferry Land is a hip-roofed block measuring 1 1.5 m by 7.lm, the E end-wall continuing the line of the E front of Factory Land while the wend projects some 2.5m. There are a ground-floor doorway and a window at each level in the E wall, corresponding to those of Factory Land, with further windows to N and w. A transverse wall carrying a chimneystack divided each floor into two main rooms, and the first floor is reached by an original forestair in the SW re-entrant, with an internal geometrical timber stair to the second floor.